e-Builder is a cloud-based construction management software for facility owners and construction professionals. It assists users throughout all stages of project development—from planning to construction and then into operations, with the goal to boost efficiency and reduce costs. In this article, we cover user reviews. Ready to get started with e-Builder? Request a demo. Users who gave e-Builder a positive review like that they are able to manage an entire construction project from beginning to end. Others appreciate the constant enhancements being made to the platform so that it continues to align with industry trends and expectations. Users who gave e-Builder a negative review commented that because of the software’s many features, it requires lengthy training at the beginning. Some of them also said that its dashboard speed is sometimes slow and that they often experience glitches when multiple users are connected. e-Builder pricing is not readily available on their website, but according to a third-party source, price starts at $20,000 (one-time fee), with a free trial given to interested users. You may contact their sales team to obtain a customized quotation. Ready to get started with e-Builder? Request a demo. What devices are compatible with e-Builder’s mobile app? 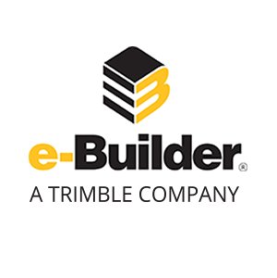 The e-Builder mobile application is compatible with the iPhone and the iPad and may be downloaded from the App Store. How many documents can users store in e-Builder? Users can store an unlimited number of documents in the cloud-based software. Not sure if e-Builder is the right fit for you? Read our reviews of all top construction management software providers or check out one of these three e-Builder competitors. Design and support a product that increases project management efficiency. We have successfully integrated e-builder into our company accounting software. This has allowed for e-builder to act as the official financial record for our capital projects and has reduced the need for duplicate accounting systems to track this data. It has been challenging to find an effective report for staff workload which is team based, fairly flat and contains resource sharing Design and support a product that increases project management efficiency. Management reporting isn’t perfect, but I’m not sure this is an e-builder issue more than it is a manifestation of how we’ve designed e-builder to operate for our institutional needs Overall speed is sometimes slow. Report and dashboard speed can be even slower. I’m not sure if this is due to our internet connection or their servers. The software isn’t initially intuitive. What’s the company’s long term vision. Are they going to be gobbled up by a larger player or are they going to stay independent. 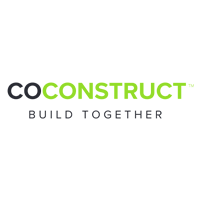 Allow for easy visibility into the financials of a construction process. It also allows for a central document repository for all stakeholders in a project. It makes standardizing the process from design through closeout very straightforward. Quite often there is a mid-day slow down of the software, when that happens you can press submit and go get a drink, come back and the software is just processing what you were doing. Some of the processes don’t seem to follow how we would normally work in construction. For instance the potential change order process is convoluted. Also, the new schedule module has an interface that is very easy to use but does have a few quirks. How difficult it would be to contact customer service when you have an issue that is impacting usability on large projects for contractors. The references, with which project it worked and for how long? e-Builder provides the ability to manage the entire project delivery process, from project initiation to closeout and turnover. 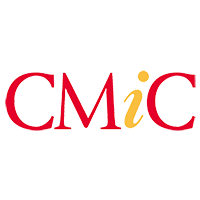 Financial, Document Management and Process modules are excellent. e-Builder continues to enhance the software to meet the needs of owners managing large capital programs and to continually align with industry best practices. The Capital Planning module could be improved further to better meet the needs of owners. The schedule module was recently enhanced, which was a significant improvement over the previous module. Some of the limitations regarding the Reports module. The software has an excellent built in report writer for simple reports but more complex reporting has some limitations. eBuilder has greatly improved our ability to track and manage design and construction projects. We use eBuilder for projects starting with programming and budgeting through construction and project closeout. It tracks and standardizes each process. It has practically eliminated paperwork and file management. As with any package of this type, there is an extensive training and customization process. This is valuable as it insures that the process workflow matches your existing processes and can even help identify more efficient ways to do things. I have no regrets. We implemented a competing package before going with eBuilder. We should have gone with eBuilder to begin with.